Prue bead earrings will be a perfect match for an evening gown. The upper part of the piece is made in the shape of a flower. 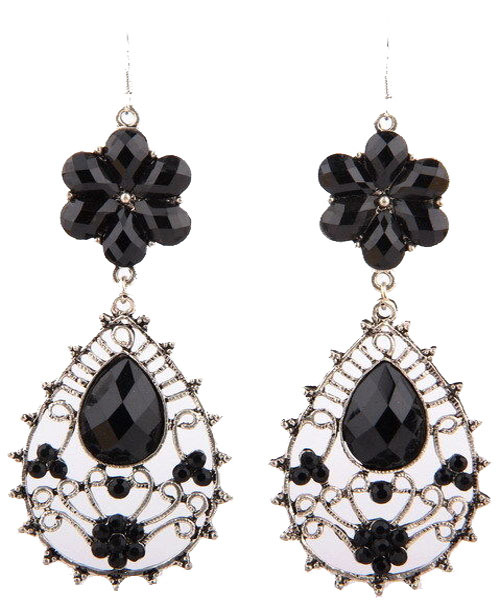 The body of the earring has a large teardrop black crystal in the center of a silver-toned metal net. Shopping for online jewellery Australia has never been so easy. We hope you enjoy browsing our extensive ranges.